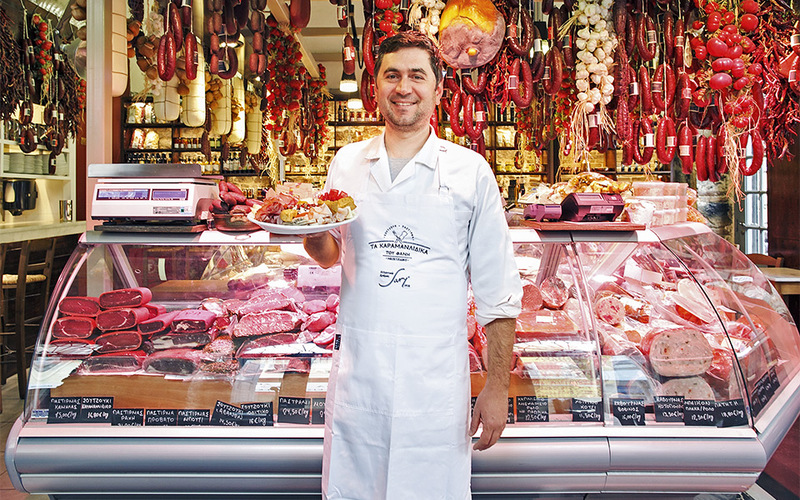 From the perfect olives to the finest cheeses, cured meats and other delicacies, these delicatessens are the places to fill your bags (and grab a bite). Brimming with delicacies from every corner of Greece, this deli is the perfect place to find rare meze – like salt-cured tuna from Alonnisos and pies from Kozani. It’s ideal for both lunch and dinner; your meal will be made with ingredients straight off the shelves around you. At this mecca of Greek cheese, you’ll find incredible products to take home and enjoy as well as plenty to eat right on the spot. 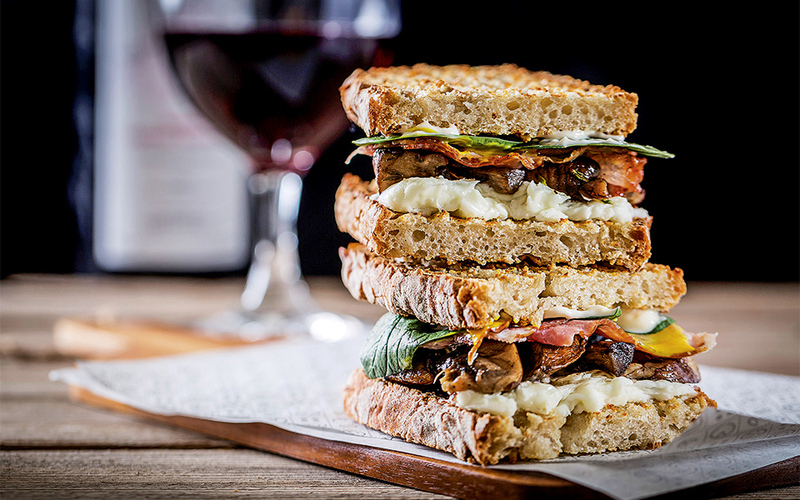 Kostarelos, which is family-run, produces a variety of cheeses but it’s perhaps most noted for its feta, both soft and hard, which is exceptional – try some tucked into a sourdough sandwich. The anthotyro with dill pesto on a crusty baguette is also amazing. Situated near the central market, this spot is great for Greek meze, including cured meats from Drama, handmade sausages and dolmades (stuffed vine leaves), as well as for wine or ouzo. Filled with hanging hams and cheeses, the interior gets delightfully noisy. If it’s all too much, ask for a table in the little courtyard outside. 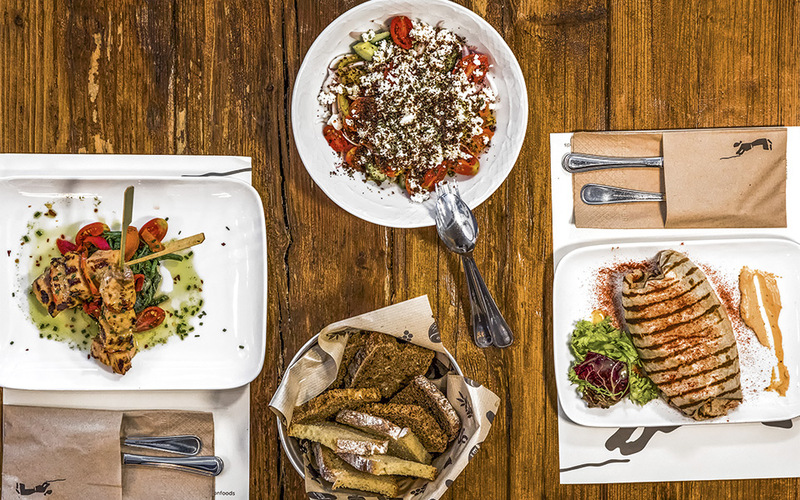 This is a Greek food institution with local and regional products for both purchase and in-store consumption; it also has a restaurant, a café, a Gaea Olive Oil Bar and food seminar spaces. 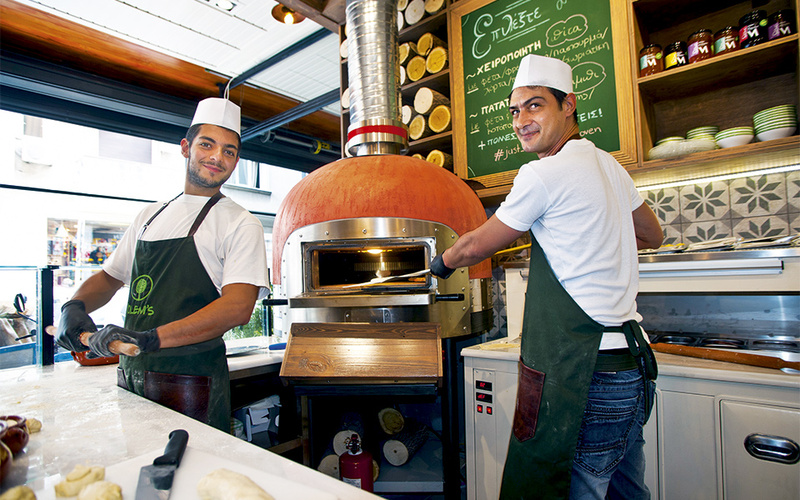 Have a breakfast of wild greens and cheese pie on the ground floor, made to order in a wood-fired oven. On the first floor is Farma Bralou, a butcher’s counter and steakhouse.